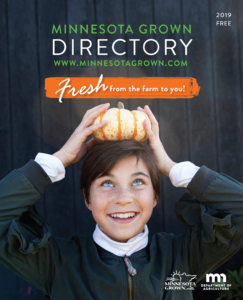 This cherished family recipe from Lebanon is a great way to showcase your Minnesota Grown honey! 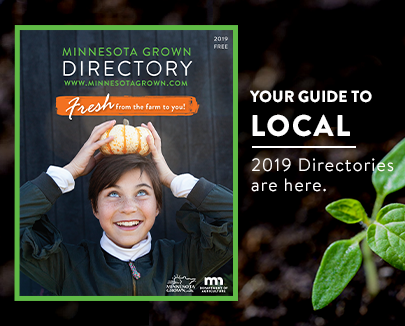 Look for Minnesota Grown honey year-round at your farmers market, grocery store, or in the Minnesota Grown directory. Thank you to Cathy at Bone Lake Meadows Apiary for sharing this recipe. Cathy received the recipe from her neighbors Joan and Joe. 42 years ago when Joan and Joe were just married, Grandma Helen Khoury taught Joan two important recipes: baklava and pizzelle. Variations of this recipe have been handed down through at least three generations from Lebanon and Grandma Helen wanted to ensure the next generation could carry on the tradition! Find more recipes on Bone Lake Meadows website under 'Recipes'. Spread the filo dough on a buttered 9 1/2 X 13 inch pan, brushing each layer with butter. Half way through the layering, sprinkle the nuts and sugar on top. Continue layering the buttered filo on top. When done layering, make cuts diagonally in the dough and trim edges around the side of the pan (or tuck under and push down in around the edge). Bake baklava for 25 minutes at 350, then raise heat to 450 degrees for 7- 15 minutes (depends on your oven). 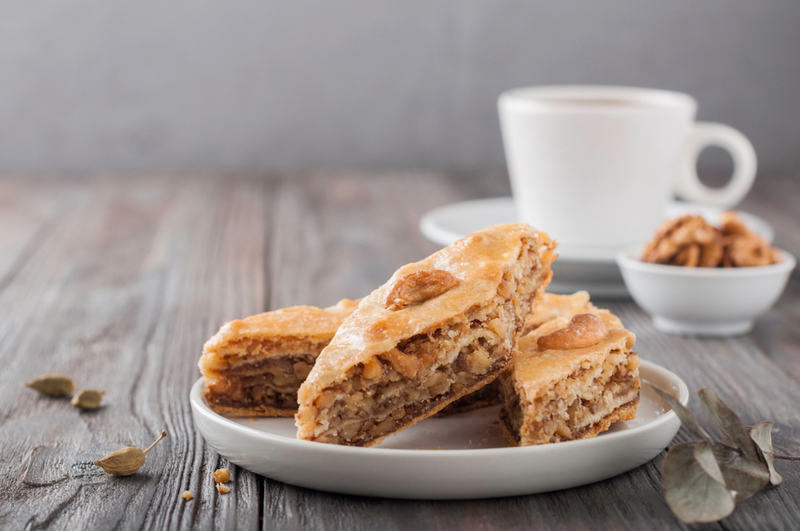 While baklava is baking, mix honey syrup ingredients together and heat on medium to 230 degrees on a candy thermometer. Cool to room temperature and take out cloves and cinnamon stick. When baklava is golden brown, remove from oven and pour cold syrup over the lines cut into the baklava so the syrup soaks through (not on top). Let sit for at least 30 minutes before cutting (good luck!). Store at room temperature.